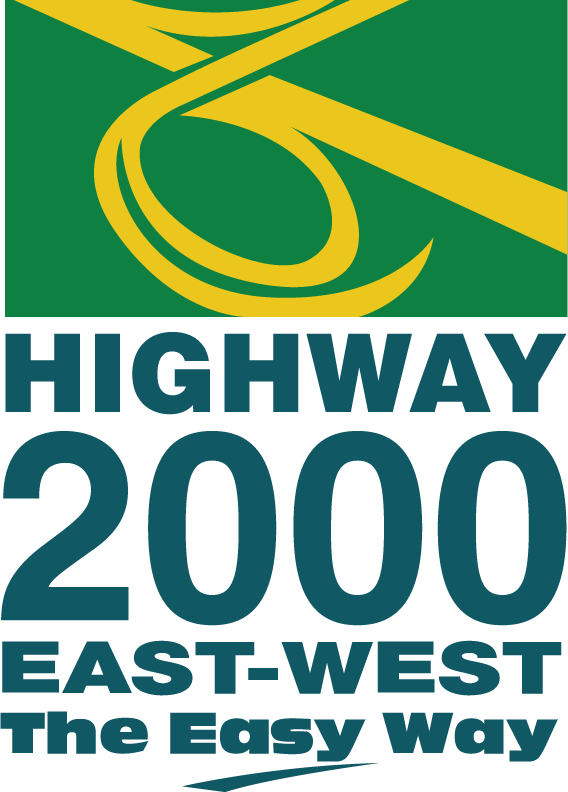 What is Highway 2000 East-West? The motorway corridors are supported by four (4) toll plazas, commencing with one at Vineyards which was opened in 2003, followed by one at Spanish Town in 2004, then the Portmore facility in 2006, and finally one at May Pen (Mineral Heights), which was opened in 2012. Highway 2000 East-West is the first component of the Highway 2000 project designed by the Government of Jamaica to meet a number of objectives, including increasing accessibility to urban, suburban, and rural communities across the island. It was also envisioned that the development of the Highway 2000 network, would serve as a catalyst for the growth of flourishing communities in areas outside of the metropolitan region, given that access to and from major towns and cities island-wide would be greatly enhanced. In fact, a special Government funded project named the “Portmore to Clarendon Park Highway 2000 Corridor Development Plan Project” was undertaken in 2004 to identify and assist in effectively exploiting the economic growth opportunities the Highway would create. Are all toll roads part of Highway 2000 East-West? All other toll roads are not part of Highway 2000 East-West, and therefore outside the jurisdiction of TransJamaican Highway Limited and Jamaican Infrastructure Operator Limited. 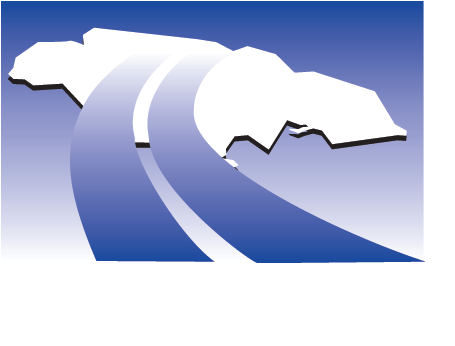 What are the commercial entities involved in Highway 2000 East-West? Highway 2000 East-West benefits from the alliance of best-in-class transport infrastructure companies guided by the long-term vision of the Jamaican public sector. The Jamaican state-owned entity, National Road Operating and Constructing Company Limited (NROCC), oversaw the design and construction of the project, provided contingent support, and acquired land necessary for the construction and operation of the highway. In November 2001, NROCC formed a partnership with the privately-owned entity TransJamaican Highway Limited (TJH), the Developer of the Highway, to coordinate the development of the highway network, including its financing and construction. TJH was formed after a French-based leading construction company Bouygues Travaux Publics won the bid, collaborating with VINCI Concessions (whose subsidiary VINCI Highways is a world leader in road concessions and toll services, experienced in constructing/operating of 3,101km of road network in 13 countries), to develop and operate the Highway in Jamaica, and together serving as its parent companies. A Concession Agreement outlining the obligations of NROCC and TJH was signed by the entities in 2001. Of special mention, Bouygues and the VINCI Group both played for the construction, and continue to play today in operations, a key role in the 80,000-seat Stade de France sports stadium in Paris, which was designed to host games for the 1998 Football World Cup where Jamaica’s own Reggae Boys played and made us proud. To carry out the construction of the highway, TJH contracted with the Jamaican Branch of Bouygues Travaux Publics (BYTPJ) as the main builder. BYTPJ combined the expertise of international personnel skilled in constructing world-class highways as well as the invaluable knowledge of Jamaican workers already familiar with building on the local terrain. Since 2002, maintenance and operations on Highway 2000 East-West have been handled by Jamaican Infrastructure Operator Limited (JIO), the Operator of the Highway, a private expert controlled by VINCI Concessions (51 %) in partnership with Bouygues Travaux Publics (49 %). JIO’s scope involves operations of the Highway 2000 East-West, including toll collection, surveillance, traffic management, emergency response and routine maintenance, on behalf of TJH. 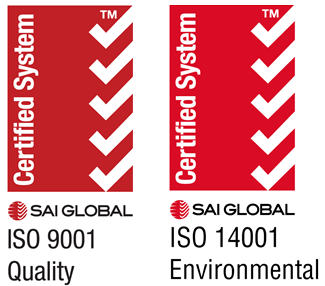 JIO maintains an Integrated Management System (IMS) that is certified to quality ISO 9001:2015 and environmental ISO 14001:2015 standards. JIO’s teams are committed to ensure the highest level of Customer Service and best travel experience to their clients, recognized in the 2017’s Customer Satisfaction Survey with 83% of overall favorable opinion of the Highway and a rating of 3.62 (out of 5) in terms of Customer Care, both figures in progression versus 2015’s Survey. What are the benefits of Highway 2000 East-West? • and the lowering of expenditure on petrol and vehicle maintenance costs. However, there are far more economic advantages that have been had through the Highway 2000 East-West project. The development of the highway has supported the emergence of much-needed practical housing solutions. From the onset, an objective of the highway was to reduce population pressure on the metropolitan areas, and since its development there has been a significant increase in the number of residential properties built outside the capital city. The New Harbour Village Development Schemes are examples of housing solutions provided for persons so they can live outside of Kingston but have close access to Highway 2000 East-West and therefore commute into the capital easily and quickly. Private sector job creation is another major benefit brought about by Highway 2000 East-West. TJH, the Developer of the Highway, and JIO, the Operator, employ approximately 200 trained Jamaicans in their staff complement, and contract even more local personnel to carry out some special functions. Also, BYTPJ employed hundreds of Jamaicans during the construction of the latest phase in May Pen completed in 2012. The private agencies involved in the project are very keen on promoting sustainable development and education, and continue to make significant philanthropic contributions in various parishes, more particularly in the vicinity of the Highway corridors. Despite limited financial resources, TJH and JIO each strive to contribute millions in cash and donations annually to communities and institutions wherever possible in honour of its good corporate citizen objectives. Over the years, the following agencies and institutions have benefited from company sponsorships: the Portmore Healthcare Complex, the Windsor School of Special Education, Kensington Primary and Independence City Primary all in Portmore; the Mustard Seed Jerusalem Community and Jonathan Grant High School in Spanish Town; the May Pen Hospital and Fire Brigade, the Chandler’s Pen Primary and Junior School in May Pen which also benefited from the funding of a Biodiversity Learning Centre under partnership with the Natural History Museum of the Institute of Jamaica. Swallowfield Chapel’s Youth Reaching Youth Ministry in Kingston and the Violence Prevention Alliance are also among a list of several other beneficiaries. How are vehicles classified on Highway 2000 East-West? Vehicles are classified according to the height and length. The table below indicates the specifications for class 1, 2 and 3 vehicles. As the Operator of Highway 2000 East-West we are mandated to remain in accordance with this standard for vehicle classification which was adopted into law via Gazette. At the manual lanes of any Highway 2000 East-West toll plaza, the actual dimensions of a vehicle are detected by in-lane sensors. This information is then used by an automated system to determine the classification of each vehicle based on the above table. While the classification of vehicles driven by T-Tag customers is fixed to their T-Tag account upon sign up. While two vehicles may be of the same make, model and year, slight variations may affect the height and length of each vehicle, causing them to fall within different classes. For example, larger/smaller tyres, the mounting of a roof rack, or the installation of a body kit can change the height and/ or length of a vehicle. Should you experience such a variation, please contact our Customer Service Team so that an investigation may be conducted. How is the toll calculated? The toll rates are calculated based on a formula which takes the Exchange Rate, Jamaican Consumer Price Index, and US Consumer Price Index into account. The Concession Agreement permits a revision of the toll rates in July of each year. A T-Tag is a device which is linked to a driver’s prepaid T-Tag Account with Highway 2000 East-West. The T-Tag is affixed to a specified area of the driver’s motor vehicle and is detected by sensors in the Tag lane at the Toll Plazas. Once there are sufficient funds in the driver’s T-Tag Account for the passage, the applicable toll charge is deducted from the account, and the driver is granted passage in one quick automated step. It is far more convenient to travel on Highway 2000 East-West when you have a T-Tag, and guess what, opening a T-Tag Account is FREE! How do I sign up for a T-Tag? How do I check my T-Tag Account balance? The EASY way to check your T-Tag Account is ONLINE at your own convenience. Please click here to check your T-Tag Account Balance online. You may also visit the nearest sales office at any of our Toll Plazas. Opening hours are 6:00am – 9:00pm on Mondays – Fridays and 7:00am – 1:00pm on Saturdays. How do I top up my T-Tag Account? The EASY way to top up your T-Tag account is ONLINE and at your own convenience. You can even set up a low balance alert to remind you when it’s time to add funds to your account. Please click here to Sign up to reload your Tag Account. The sales office at your nearest Toll Plaza – Payment may be made by cash, debit card, and credit card at this location. Opening hours are 6:00am – 9:00pm on Mondays – Fridays and 7:00am – 1:00pm on Saturdays. Manual lanes at any Toll Plaza outside of morning and afternoon peak traffic hours – Payment may only be made by cash at this location. Paymaster – Payment may be made by cash, debit card, and credit card at this location. What should I do if my vehicle breaks down on Highway 2000 East-West? Please take note of your location (i.e referring to Emergency signs displayed along the corridor, or kilometric signs set-up on central concrete barrier) and contact our Toll Free Number at 888-429-5632 immediately for assistance. Our Patrol Officers are constantly monitoring the corridor, and one will be directed to your location as soon as we receive notification. If it is determined that you need to be towed, a wrecking company authorized by Highway 2000 East-West will be contacted for you, and your vehicle will be towed at your expense. To maintain the safety of ALL road users, JIO only permits authorized wrecking companies to tow vehicles along Highway 2000 East-West. What should I do if there is smoke on Highway 2000 East-West? Obey the warning signs and instructions of the Highway 2000 East-West Patrol Officer present on the scene. Do not attempt to proceed unless instructed to do so by the Patrol Officer or the Police. If the smoke hazard has just occurred, do not attempt to proceed, instead pull over onto the hard shoulder safely. Contact our Toll Free Number at 888-429-5632 immediately and await the assistance of a Highway 2000 East-West Patrol Officer. Do not attempt to proceed unless instructed by the Patrol Officer or the Police. What should I do if I am involved in an accident on Highway 2000 East-West? What should I do if I witness an incident on Highway 2000 East-West? Please take note of the location of the incident (i.e referring to Emergency signs displayed along the corridor, or kilometric signs set-up on central concrete barrier) and contact our Toll Free Number at 888-429-5632 immediately. Our Patrol Officers are constantly monitoring the corridor, and one will be directed to the location as soon as we receive notification. Does Highway 2000 East-West have a Frequent User Rewards programme? YES! Frequent User Rewards are currently available for all Class 1 and Class 2 T-tag motorists travelling on the Portmore or Spanish Town legs of the Highway. Under this rewards programme, T-Tag accounts are automatically refunded with the FULL value of the 10th trip after passage each week, meaning that your 10th passage is FREE! Plus, customers get back 10% of every trip after that within the same week.